After we spent time visiting with our next door neighbours at the campsite this morning it was nearly eleven o’clock before we got away. The ocean was barely visible through the fog and for many hours fog drifted just above the road and through the trees. It was another slow drive, up, down and around mountain peaks, but this time much more of it was through the Redwood Forests. The highway was even narrower and steep in many places, until we reached the junction at Hwy 101. Before continuing on along 101, we stopped at Leggett to see the drive-thru Chandelier Tree, a 315 foot redwood with a diameter of 21 feet and believed to be 2400 years old. The motor home wouldn’t fit through the opening, but I got a picture of Jim pretending to try. That was our only stop except for taking the occasional picture and eating lunch along the side of the road. We were determined to get to a full-service campsite tonight. We were running out of clean clothes and we weren’t sure how much propane we had left, since the gauge quit working a long time ago. We also needed a bank and a grocery store! We finally made it to Eureka just before dark. A fine mist was beginning to coat the windshield. We did our banking and a bit of grocery shopping, but by that time I was too tired and hungry to decide what we needed. We got only the bare necessities. We were lucky to find a space at the nearby KOA. This was a very long day. Nope, it won't quite fit! 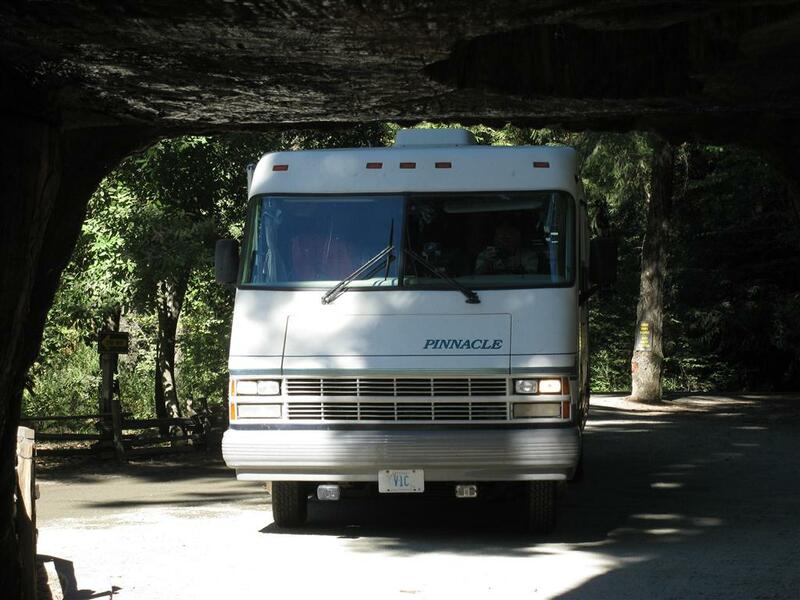 This entry was posted in RV Travel and tagged California, motor home, Redwoods, RVing. Bookmark the permalink. You are a marvelous writer, Judy. 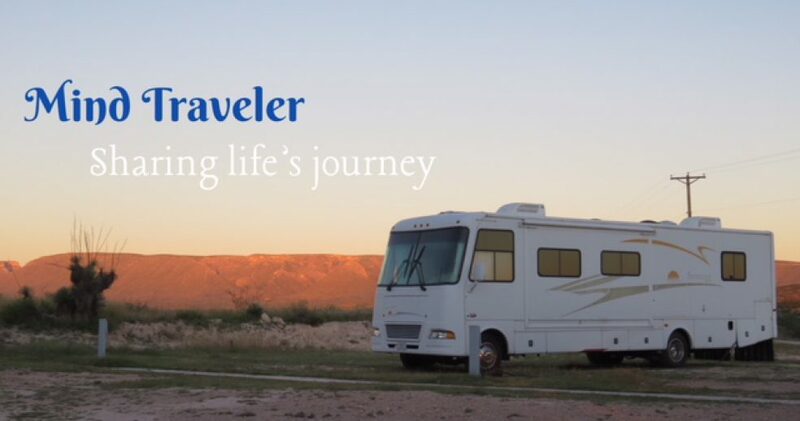 You could post your travels to a newspaper because it reads so well and is so interesting. I would love to be in your shoes and be having such a wonderful time. Yes, the garden, health issues, etc. can wait until you get home. You made a good decision to leave that behind and enjoy yourselves. You are making super memories.